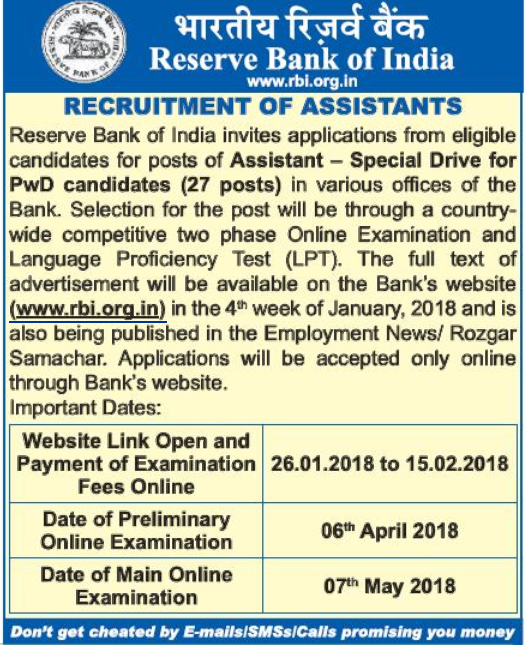 RBI Assistant Recruitment 2018 Notification for specially PWD Candidates with 27 RBI Assistant Posts, you could apply from 26th Jan 2018 to 15th Feb 2018 at the main website Reserve Bank Of India @rbi.org.in., Check out the full updated related to this notification in the below. 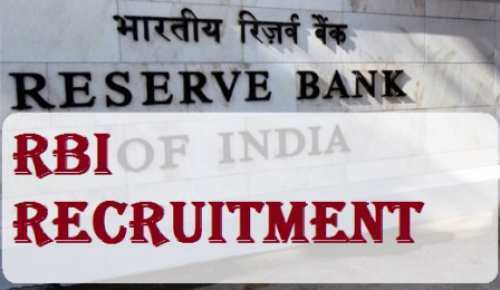 Educational Qualifications: The complete qualifications for RBI Assistant Recruitment notification as per the job wise. Apply Online 27 RBI Assistant (For PWD Candidates)Job Vacancies: Dear One it is one of the great chance for the candidates who completed their minimum academic qualifications before Graduation. Those are eligible for the RBI Assistant Vacancy. So, who have been long waiting to settle in the Bank Sector it will be one of the wonderful Offhand fort eh Stunners. Almost 27 Candidates are selected for the Post of RBI Assistant vacancies. Candidates should complete all formalities before the last date. The Online Fee payment will be finished on 26th Jan 2018 to 15th Feb 2018. In the middle of time, aspirants can also get the Exam Syllabus for the relating post. Without taking, much stress candidates can know the clear specifics on this page.